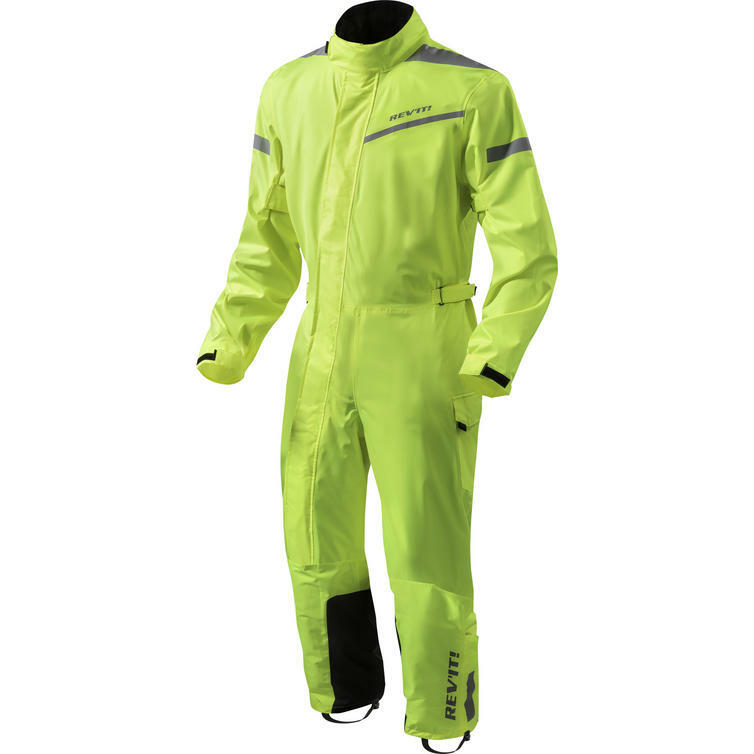 The Rev It Pacific 2 H2O Rainwear Motorcycle Oversuit is part of the latest REV'IT! collection. The REV'IT! rain wear collection received an upgrade this season. The Pacific H20, which has been a best seller since its 2011 introduction, just got better. 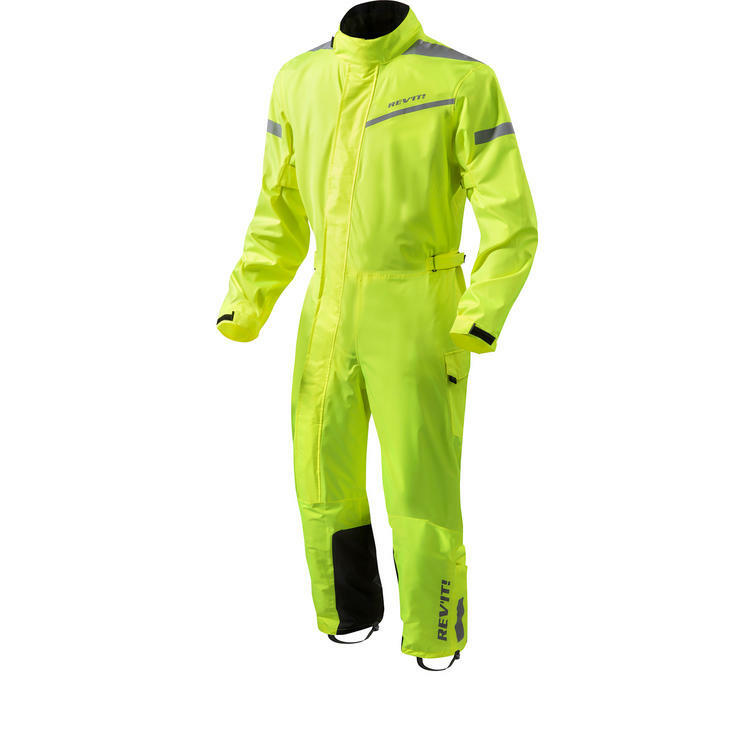 An update to the outer shell makes it extremely breathable and bleed free, the zip has been upgraded to a YKK zipper, and the reflective tape is now 3M Scothclite. We know that riding in the rain isn't anyone's favorite, but the Pacific 2 H2O makes it as comfortable as possible. 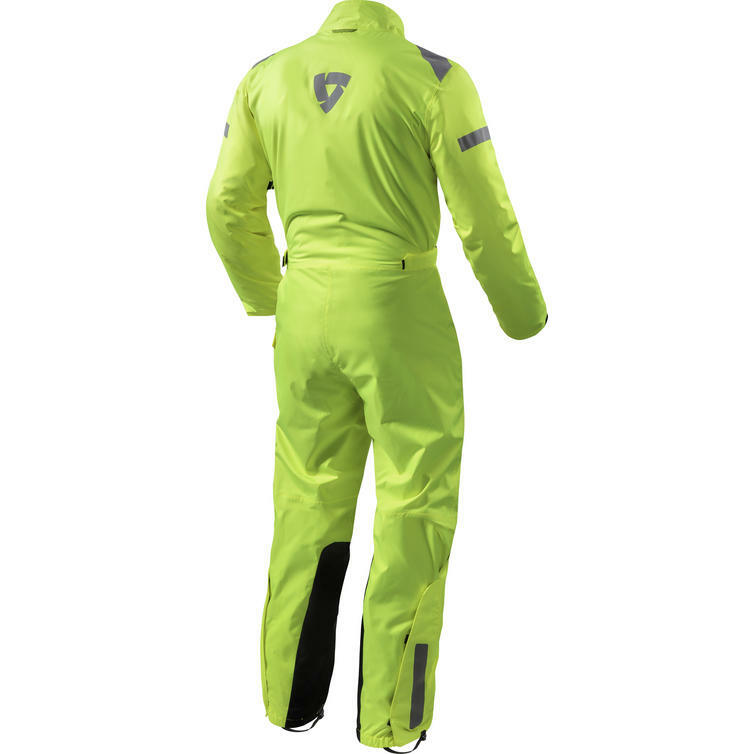 View all Rev It Motorcycle Rainwear. View all Motorcycle Over Suits. Please Note: this oversuit is sized to fit over jackets and trousers of the same size. So a Large should fit over Large-sized jackets and trousers.